While most people tune-in to their local weather forecasts, and there are those who keep their eyes to the sky for the latest in space weather, the region in which they interact has been largely uncharted. NASA – with the help of two satellites planned for launch in 2018 – hopes to change that. At 60 miles (96.6 kilometers) in altitude, Earth’s ionosphere is host to a little-understood interplay between the electrically-neutral upper atmosphere and the rarified soup of electrically-charged particles created from solar radiation. This boundary layer is susceptible to influences from Earthly weather events and solar outbursts alike, and may be key to understanding how to better protect humans on the ground or hundreds of miles above it. Scheduled to launch atop an Arianespace Ariane 5 rocket on January 25, 2018, the Global-scale Observations of the Limb and Disk (GOLD) instrument will settle into a geostationary orbit as a hosted payload on a commercial communications satellite. From its vantage point some 22,236 miles (35,786 kilometers) above the equator, GOLD will image Earth in the far-ultraviolet spectrum. This view of our planet should allow scientists to observe changes to the ionosphere that they would otherwise be unable to see and allow for tightening of predictive models. “We already have models that are filled with really good science, but these new measurements will lead to a better understanding of the physics in the models,” noted Sarah Jones, GOLD mission scientist at NASA Goddard, in a release issued by the agency. 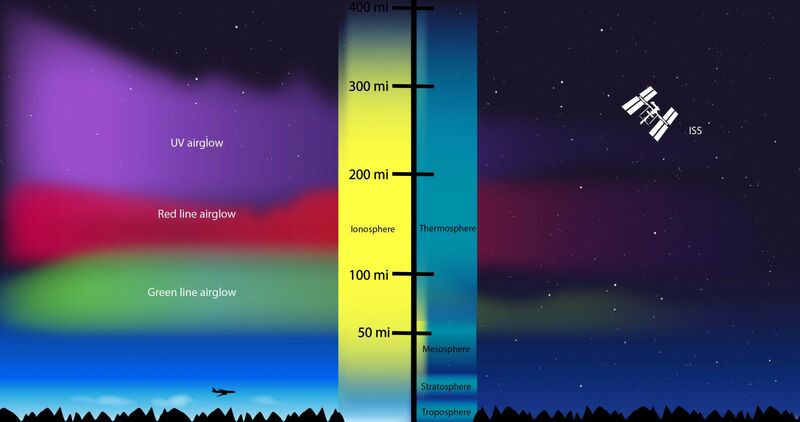 Indeed, scientists at the University of California, Berkeley, have posited that weather conditions fostered by El Niño may actually impact what happens in the ionosphere. Researchers hope that data from GOLD leads to clearer view of the interactions at work. Slated to launch later in 2018, and orbiting much closer to Earth, the Ionospheric Connection Explorer (ICON) satellite will provide the high-resolution counterpart to GOLD’s wide-angle view. Initially tapped to launch on December 8, 2017, on an Orbital ATK Pegasus XL, ICON was delayed to 2018 so that the company could assess a potential with the rocket. ICON is planned to be positioned in a 350-mile (563-kilometer) low-Earth orbit, passing through and above the boundary layer, and should be able to take direct measurements of the area. When combined with data gathered from GOLD, scientists hope to directly measure the Earth-Sun interaction. Though GOLD and ICON will be the newest instruments at researchers’ disposal, they won’t be the only tools in the repertoire. Launched more than 16 years ago, NASA’s Thermosphere, Ionosphere, Mesosphere Energetics and Dynamics (TIMED) spacecraft will also provide a needed third vantage point from which to gather data. Both GOLD and ICON represent the latest Explorer-class missions from NASA, which are managed by the Goddard Space Flight Center in Greenbelt, Maryland.